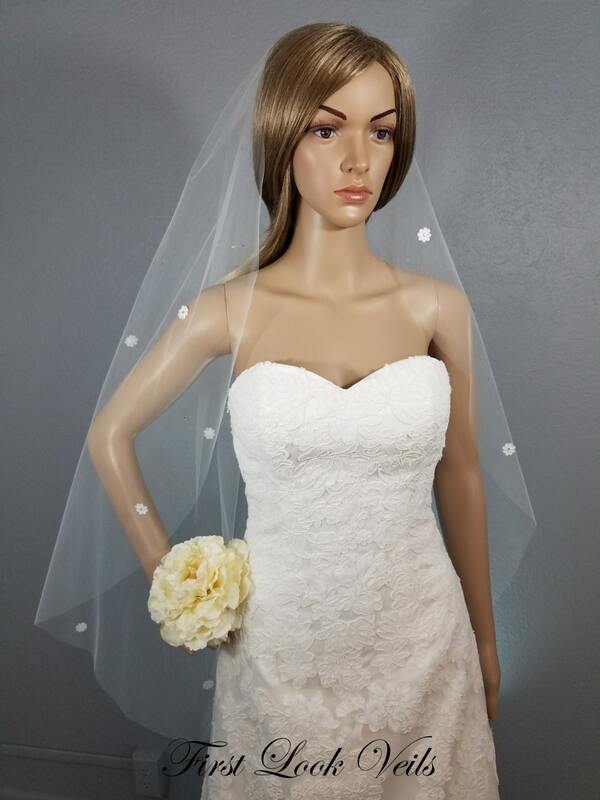 THE STYLE: Ivory Sheer Fingertip Wedding Veil with crystal centered lace flowers. 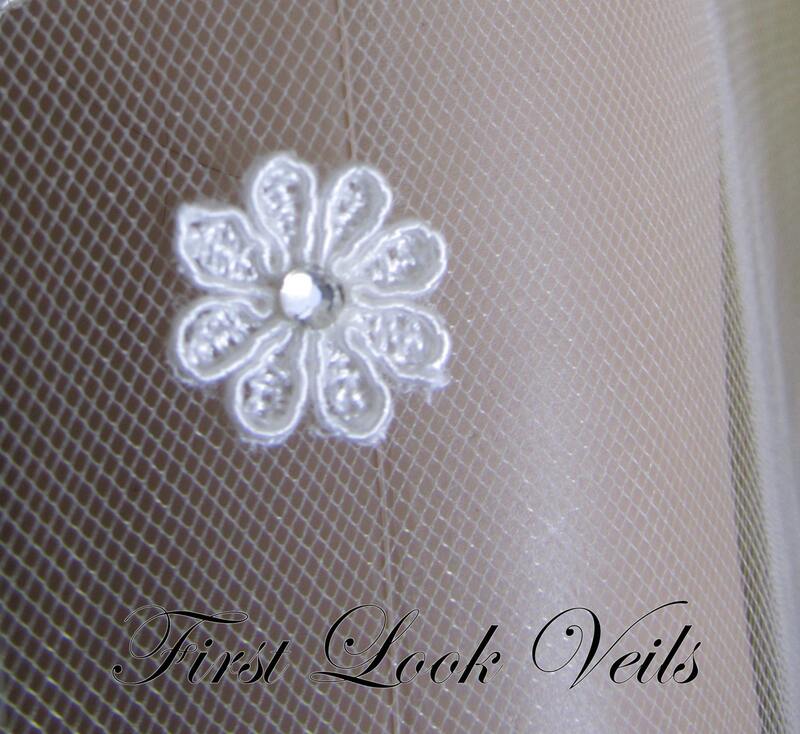 Crystal bling is placed throughout the veil. 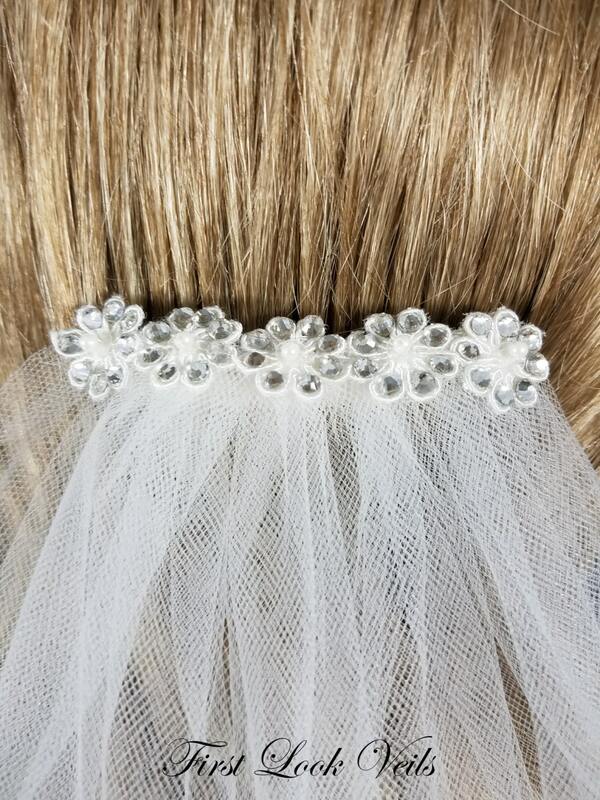 The tulle wrapped metal comb is topped with five of the flowers that adorn the veil. 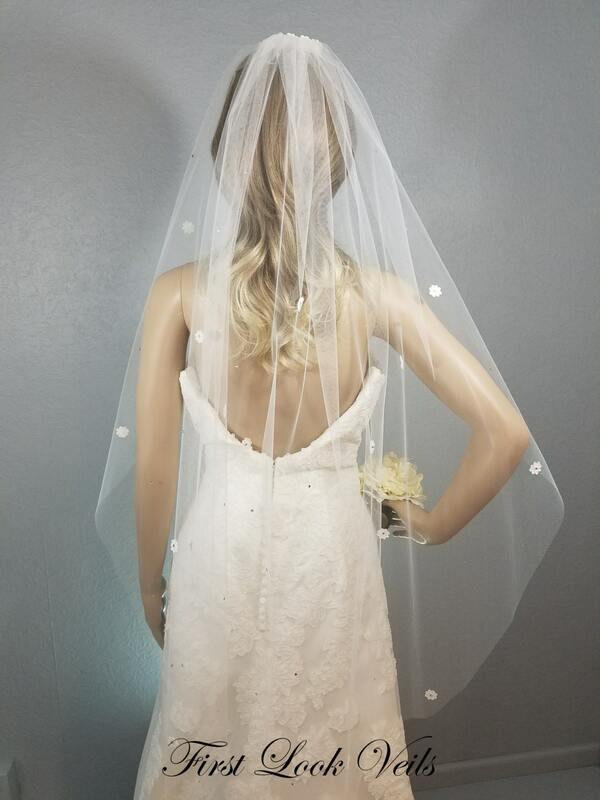 This is a soft Bridal Illusion tulle veil to add a bit of bling to your special day. 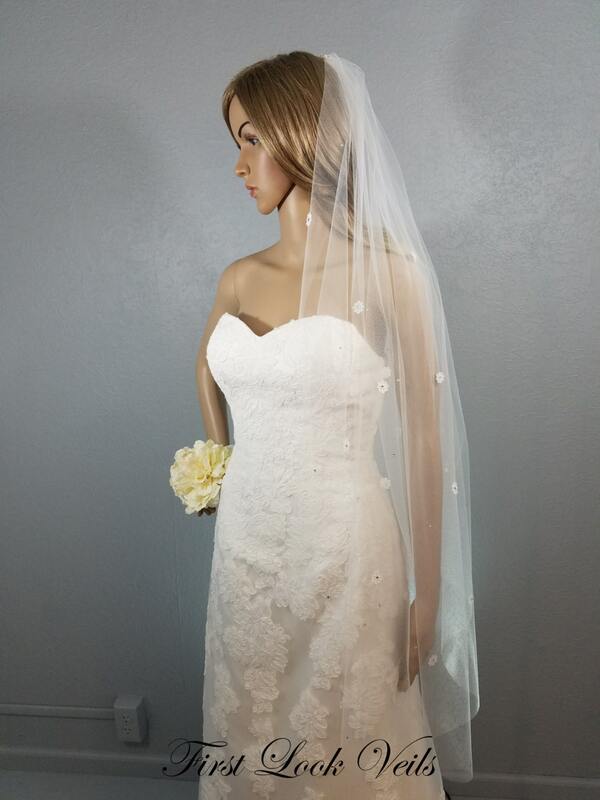 SHIPPING AND DELIVERY: This veil is completed and will be mailed within 3 business days of receipt of your order. Delivery usually takes 2-5 days in the continental US and up to 30 days internationally.